The blogosphere has been getting itself in something of a tizzy over the idea of Apple bringing a so-called “iWatch” to the market. Ever since, it seems, the Pebble Smartwatch finally set a release bracket following its Kickstarter phenomenon, the talk of Apple exploring this market has been without relent. We’ve heard several inconsequential reports pertaining to a supposed iWatch over the years, but there’s a lingering feeling that this time, it’s for real, and Bloomberg has shed even further light on the matter by stating that it expects the Cupertino company to come through with such a device within the next nine months. Bloomberg was initially responsible for throwing some weight behind the wristwatch device murmurings by stating that Apple had over one hundred designers working on the device, and today, Bloomberg has published a new report which claims Apple will launch the iWatch at some point in late 2013. Having studied the movements of the fruit company – including the filing of some 79 patent applications supposedly related to the product – Bloomberg has concluded that Apple’s behavior suggests the mysterious wearable tech is on the way. In terms of features, Bloomberg believes Apple is keeping an open mind, studying a wide range of areas and features. These include the potential to make calls, mapping and navigation implementations, as well as health-related features such as pedometer and heart rate / pulse monitors. Sir Jony Ive is said to be a long-time admirer of watches, and with the Englishman now at the heart of both hardware and software after the unceremonious ousting of former iOS VP Scott Forstall, it will be interesting to see what he and his 100-strong team will bring to the market. Coming to the software and battery side, TheVerge has come through with their own sources, stating that the iWatch will run on top of Apple’s iOS, instead of the proprietary iPod nano software. Getting iOS to run on a device so small is not the challenge, the real test seems to be battery life, which, according to the report should provide the user at least 4 to 5 days of battery life on a single charge. The current prototype iWatches aren’t able to go beyond the 2-days-of-battery-life mark. Considering we’ve just crossed the line from the short month of February, Bloomberg‘s estimation would place the iWatch in the market arena just in time for the lucrative holiday rush. Although these latest reports will still not have convinced many consumers that this is either a good idea, or indeed something Apple will actually do, the fanfare surrounding Apple bringing a new product to market will render it a hot topic if and when it is released. 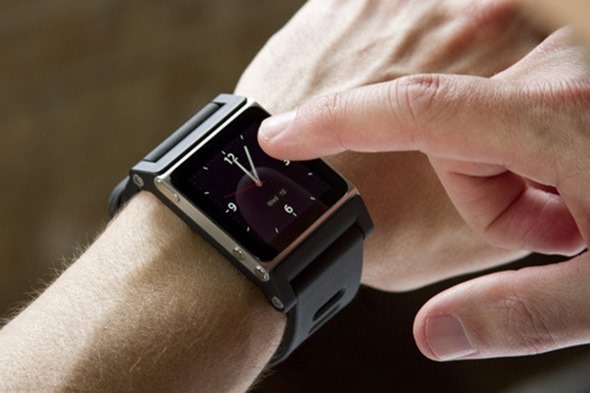 Do you believe Apple will, in fact, go down the iWatch route? Share your thoughts via the usual mediums below!